Brendan has designed, facilitated and presented his programs to a wide range of clients, including large corporations like Kellogg’s, Harley-Davidson, Bristol-Myers Squibb, Sara Lee, Jenny Craig, PepsiCo, Aetna, Marriott Hotels and many others, as well as to many smaller companies, nonprofit groups, schools and government agencies. Brendan’s programs are informed by his lifetime of practical experience in the corporate world, as well as the world of applied creativity and innovation. Brendan has been a professional improvisational performer for over 25 years, a graduate of the world famous Second City Conservatory. He has also been a director, teacher and coach of other improvisers. Successful improvisation is all about innovating and collaborating in the moment. Brendan’s nationally recognized, award winning improv group “Blue Velveeta” toured the country, creating new theatre in the moment every night, and on cable’s A&E. Brendan still performs improv on stage in Chicago on a weekly basis. 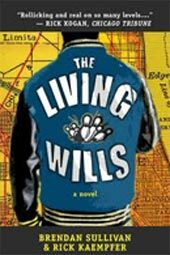 Brendan’s first novel, "The Living Wills," was published by Eckhartz Press in 2011. Brendan also was the creative producer, for 10 years, of a top-rated morning radio show in Chicago, the Jonathon Brandmeier Radio Showgram. His job was to create material for the show, written pieces, creative ideas and humorous character segments. Brendan developed successful, transferable techniques for generating creative ideas quickly. Before all this, Brendan had a ‘real job.’ He sold advertising for a living, including five years with the New York Times Magazine Group as Midwest Advertising Sales Manager of Family Circle’s special interest magazines. He led a sales team and his clients were national accounts, mainly Fortune 500 consumer products companies. Brendan took a lot of people to lunch and played a lot of golf. His experience gave Brendan valuable insights into the corporate world, work teams, leadership, productivity and management. Brendan is an active member of the Chicago chapter of the Association for Talent Development. He has also presented his programs to his colleagues in the Midwest Facilitators Network and the Association for Experiential Education. Brendan is an approved provider of continuing professional development for the Illinois State Board of Education. 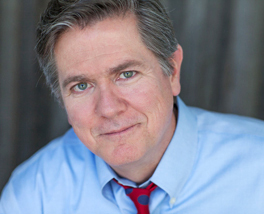 As an actor, Brendan has appeared in national television commercials, feature films, television productions and the theater. He is a member of the Screen Actors Guild. Brendan has also written speech for corporate clients, scripts which were produced for television and the stage, as well as feature articles in magazines and advertising copy for business publications and radio commercials. Brendan and his wife, Susan, have four children and live in Chicago. Click the book cover to find out more and buy your copy today. Available in paper back or E-book format.